Fifty years have passed since mankind began migrating to the new frontier: Mars. It's an age where most culture is produced by AI, and people are content to be passive consumers. There's a girl. 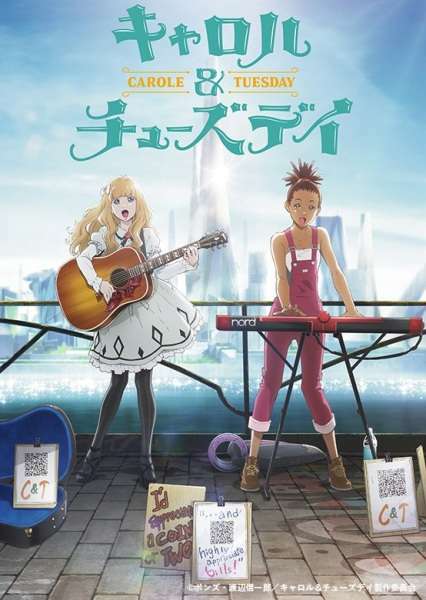 Scrapping a living in the metropolis of Alba City, she's working part time while trying to become a musician. She's always felt like something is missing. Her name is Carole. There's a girl. Born to a wealthy family in the provincial town of Herschel City, she dreams of becoming a musician, but nobody around her understands. She feels like the loneliest person in the world. Her name is Tuesday.